Like any other lifestyle change, going vegan not only takes getting used to, but it takes time to determine what will work best for you. Making small changes to your everyday meals is one of the easiest ways to increase the amount of plant-based foods in your diet. You could start by removing meat or dairy one day a week and go from there. Or you could try changing one meal at a time, having vegan breakfasts during your first week, adding a vegan lunch during week two and so on. You could even try changing one product at a time by swapping cow’s milk for almond or soya milk or butter for coconut oil or margarine. There’s a plant-based alternative for almost every type of food you can think of, so you don’t have to miss out on any of your favourite foods. Veganism is one of the most effective choices a person can make to reduce the suffering of animals, help the planet and improve personal health. 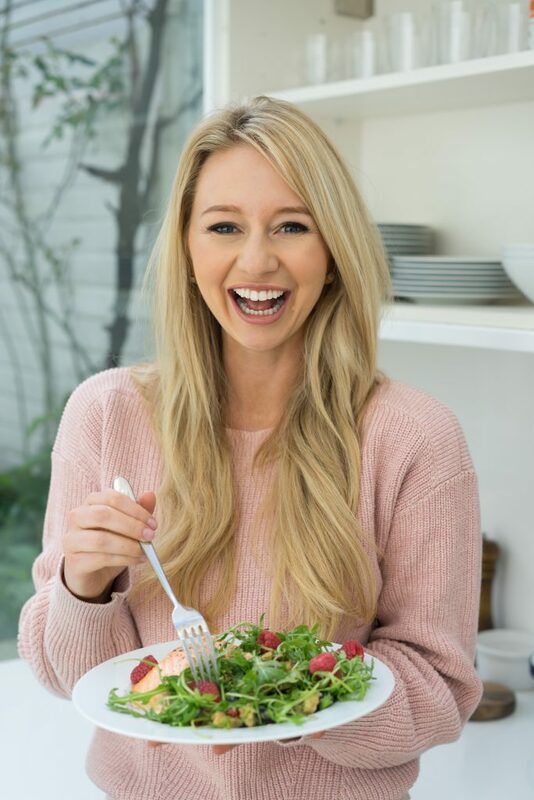 I’ve been in touch with Rhiannon Lambert, leading Harley Street Nutritionist and Author (of Re-Nourish: A Simple Way To Eat Well and A Simple Way To Eat Plant Based) below she has answered some of your questions about Veganism. What is the difference between a vegan, vegetarian, and a plant-based diet? From a nutritional perspective, vegans are those who choose not to eat any foods derived from animal sources (i.e. no meat, dairy, eggs or fish). Vegetarians tend to eat dairy and eggs but not meat or fish. A plant-based diet typically refers to a diet rich in foods derived from plant sources (i.e. vegetables, nuts, whole grains, etc.) with few or no animal products. Is a vegan diet healthy and complete nutritionally speaking? A vegan diet can absolutely be a healthy one! In fact, research consistently shows that a more plant-based way of eating is beneficial to our long-term health. That said, any diet can be an unhealthy one and consuming a lot of vegan fast food and sugary drinks will not make your vegan diet a healthy one. The best way to adopt a nutritious vegan diet is to consume a whole variety of plant-based foods inclusive of grains, nuts, seeds, legumes, fruit and vegetables. This will ensure the consumption of adequate amounts of macro (carbohydrates, protein, fat) and micro (vitamins and minerals) nutrients. However, there are some specific micronutrients of which adequate amounts can be more difficult to obtain through a vegan diet. These include Vitamin B12, Iodine and Vitamin D.
B12 is found in animal products and the only way to ensure B12 consumption in a vegan diet is through fortified foods and supplements. Iodine is derived mainly from fish and dairy, and with few Iodine-fortified foods, it is generally advised that vegans supplement this. When it comes to Vitamin D, this can be obtained from some plant-based foods but it is actually advised that all adults supplement this vitamin, particularly during the winter months. If you’d like more information on supplements, please seek advice from a registered nutritionist or dietitian. Isn’t eating vegan too extreme or radical? Veganism is on the rise, with the number of vegans in the UK has quadrupled in the last four years. We know that people typically decide to go vegan due to health, animal welfare and environmental reasons. When considering the evidence suggesting the addition of plant-based foods in a diet is good for our health and that food production contributes to approximately 30% of global greenhouse gases, perhaps veganism is slowly being considered less extreme than it once was. That being said, I would encourage a gradual and flexible approach to adopting a more plant-based diet for those considering one, at least initially. You are far more likely to enjoy and sustain a more plant-based way of living when not setting too many rules or labelling your food choices! Equally, please never feel pressured to adopt a particular way of eating – what works for one person may not work for another and everyone is unique. Is it expensive to eat a vegan diet? It really doesn’t have to be! In fact, veganism is arguably cheaper than a diet containing animal-derived foods. There are so many ways to source and consume foods these days that veganism can be very affordable. Tinned or frozen fruit and veg can be a cheap and convenient way of stocking up your kitchen. Making big batches of meals and then freezing them for later reduces waste which ultimately results in cost efficiency. Meal planning and using up leftovers ensures everything you buy will get used. To flavour meals, herbs and spices are inexpensive and can really bring your meals to life! Do you need special equipment or fancy and expensive ingredients to be vegan? Absolutely not. The best plant-based diets are those which involve a variety of accessible and wholesome ingredients such as fruits, veg, grains, etc. In terms of equipment, there are no essential gadgets required. That being said, if you do have access to a food blender/processor then this is a great way of easily whizzing up soups and smoothies! What even are the health benefits? 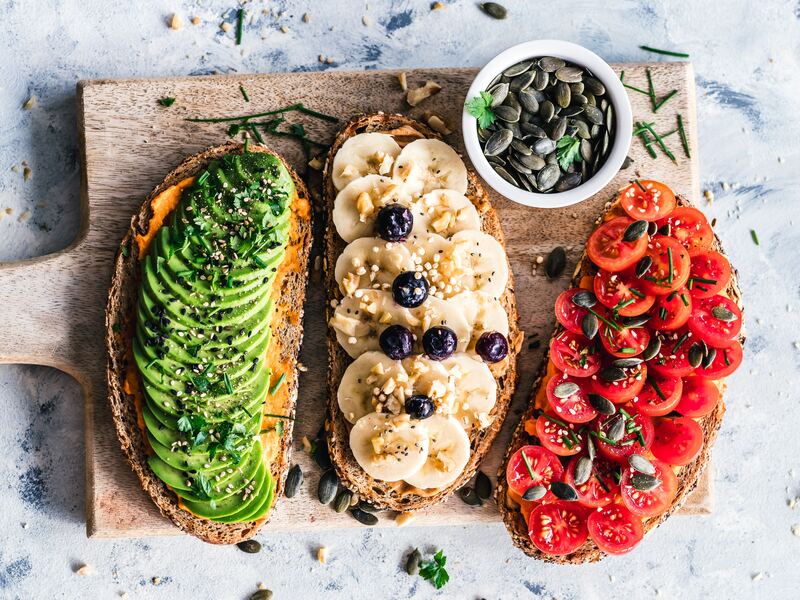 A well-followed plant-based diet can result in a higher fibre intake due to an increase in starchy foods such as whole grains and certain vegetables. Most people do not eat enough fibre (UK recommendations state we should be eating 30g per day) and so this is a significant benefit of a plant-based diet. In addition, fruits and vegetables contain a whole host of essential vitamins, minerals and antioxidants. Studies have shown that those who eat lots of fruit and veg typically have a lower risk of obesity, heart disease, high blood pressure, etc. The focus of leading a more plant-based diet should really be on what you can add into your diet (i.e. lots of micronutrients!) as opposed to what you take out. Are there any supplements or vitamins that are required when it comes to a plant-based diet? The three supplements typically recommended are B12, Vitamin D and Iodine (for the reasons given above). Although please remember to consult with a registered dietitian or nutritionist when looking for specific information regarding supplements. A lot of people might assume that plant-based foods are automatically healthy. This can be a common misconception when it comes to plant-based foods like cereals, cereal bars, soft drinks, fast food, ice cream, etc. Just because something is vegan, it doesn’t automatically make it healthy. No matter whether you follow a vegan diet or not, you will benefit most from eating a varied and balanced diet with plenty of water for hydration whilst limiting food and drinks containing high levels of added sugar and salt. What is your guidance for people trying to navigate vegan junk food from healthy eating? Can processed foods be healthy? The best way to ensure something is healthy is by knowing what is in it, and cooking at home is the best way of ensuring this. If this is not always an option for you, consider cooking bigger batches of food and then freezing them for a later date when you don’t have time to cook or need to take something out with you (remember to take cutlery!). If you are on the go and don’t have food with you, look for outlets which offer a variety of veggie-packed dishes and try to stay clear of those selling foods containing high amounts of salt and sugar. That said, there is no need to restrict yourself completely when it comes to your favourite fast foods! Moderation and enjoyment are key. What are some simple hacks you suggest to add more plant-based foods into your diet? Experiment with replacing half of the meat you’d usually add to a meal with a plant-based protein source such as beans or tofu. This way, you’ll still be consuming protein and bulking out meals to keep you full but with more plant-based food than you did before. You could even gradually build up from this and eventually begin to adopt fully vegan days into your week. Another good tip is to throw in some cucumber or avocado into your smoothies – they taste amazing! Stirring in some carrot or courgette into oats is a real game-changer in terms of taste and another way of getting in some extra plant-based foods. There are so many ways to be creative with fruit and veg since they vary so much in flavour. Connect with Rhiannon Lambert by visiting her website, following her on Instagram, Twitter and YouTube, tuning into her Podcast and watching her TEDx Talk: How To Have Healthy Relationship with Food. Making more conscious choices about what we eat and how we spend our money is central to making changes that will positively impact our planet. Scientists in September released a warning saying we have 12 years to save the world from climate catastrophe – yikes! So why not give Veganism a go? However, becoming vegan, even temporarily, can be a daunting prospect. So we’ve written a handy guide with key information, easy swaps and things to consider for Veganism. Cream: Coconut cream, Oatly (simple cream replacement) – great for curries etc. Meat: Tofu, tempeh, lentils, chickpeas. It is always best to check with a health professional as supplementation isn’t simple, vegan diets may need B12, Vitamin D, Iron, Iodine and others but this is unique to each individual and one size does not fit all. Beauty – Are your beauty products vegan? This can go beyond just the use of animal products. For example – were they tested on animals and do they contain ingredients which damage plant and animal life, such as microbeads or palm oil? Look for cruelty-free vegan products made with only natural ingredients in sustainable packaging such as UpCircle Beauty’s range of repurposed natural beauty products. Clothing– It’s easier to be less ethically-discerning when it comes to our clothing. Kale is trendy but most are not willing to reconsider their suede Chanel handbag or leather Nike trainers. There’s a ton of fantastic alternatives to fast fashion staples such as trainers, handbags and swimwear which don’t impact the planet or break the bank. Look for brands such as Vega, Matt and Nat, Allbirds and MAARÏ Porto Cervo – or even better, buy vintage! Most restaurants nowadays have at least one vegan option on the menu with most offering simple substitutes which convert a large proportion of the menu to vegan. A quick google of the menu beforehand should suffice but don’t be afraid to ask for the waiter or waitress to accommodate. Alternatively support an independent vegan eatery such as Wildfood Café, Pickywops, Vanta or Redemption. Are vegans really the healthiest? Chips are vegan, ketchup is vegan…deep fried food can still be vegan. Being vegan doesn’t automatically make you healthy or ethically sound. In fact, doing it without awareness could make you sick and end up supporting the very corporations that are destroying our planet in the first place! There are tons of big corporations making low-quality vegan products stuffed with fillers, sugars, trans fats and other nasty ingredients. Work on adding in more vegetable and pulses and try to stick to unpackaged food: not only will you know what is going into your food, but you will also avoid all the plastic packaging. With only 27% of the UK getting their 5 a day, we really need to focus on eating plants and increasing our intake of fibre.